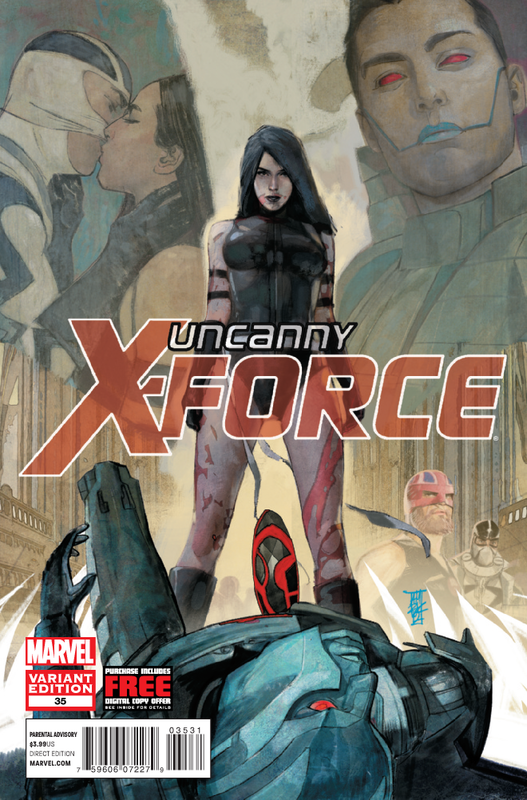 Uncanny X-Force #35 comes out tomorrow December 19, 2012. This is the final issue in this series. A preview of this issue can be seen here. 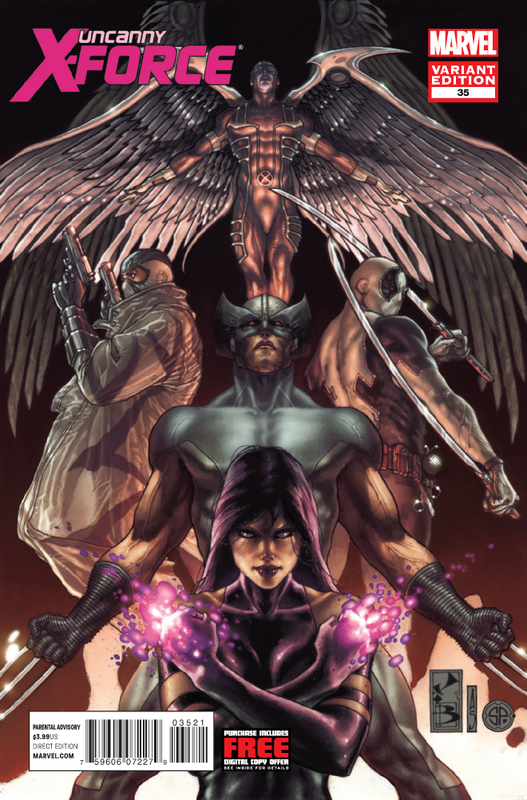 • FINAL EXTINCTION CONCLUDES AND SO DOES UNCANNY X-FORCE! • Rick Remender’s landmark run comes to a conclusion with one of the most shocking moments in X-Force history. 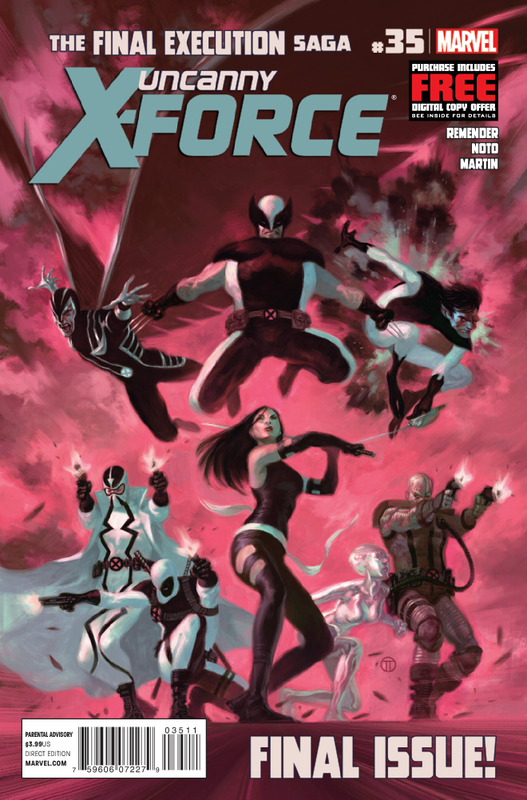 • What will become of what’s left of X-Force?